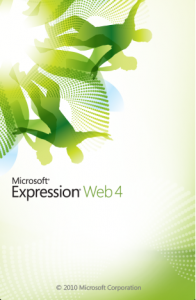 Microsoft Expression Web 4 SP2 is Free ! You know the old saying, you get what you pay for . Well in this case you get way more than you pay for. If you are like most PC users and use an HTML editor only occasionally – maybe to prepare an add for EBAY, or produce a simple web site, you just don’t need one of the premier web design programs out there. 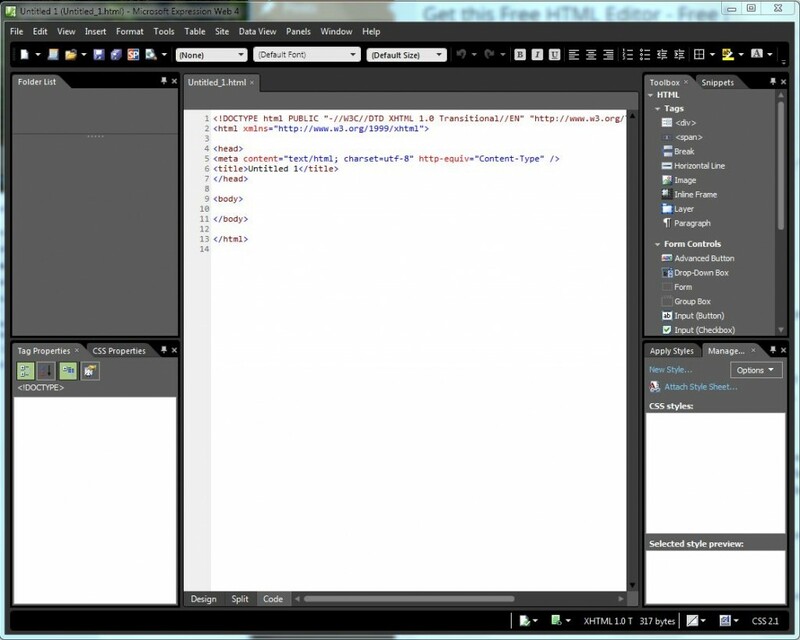 Microsoft Expression Web is part of Microsoft Visual Studio. This collection includes Expression Blend, Expression Web, Expression Encoder and Expression Design. The tool you will probably find most useful is Microsoft Expression Web, which is now available as a free as a download from the Microsoft Download Center. It is the replacement for Microsoft Front Page. Just navigate to the this web site: http://www.microsoft.com/expression/eng/ and you will find all you need to download and install this great program. Once you have it installed you will find all the features you need to produce that EBAY add, or edit that HTML code to produce simple HTML documents. So… Give this one a try the next time you need an HTML editor – before you download one of the “free” ones you find listed on the web. Don’t spend your hard earned $’s on an expensive tool that you don’t really need.